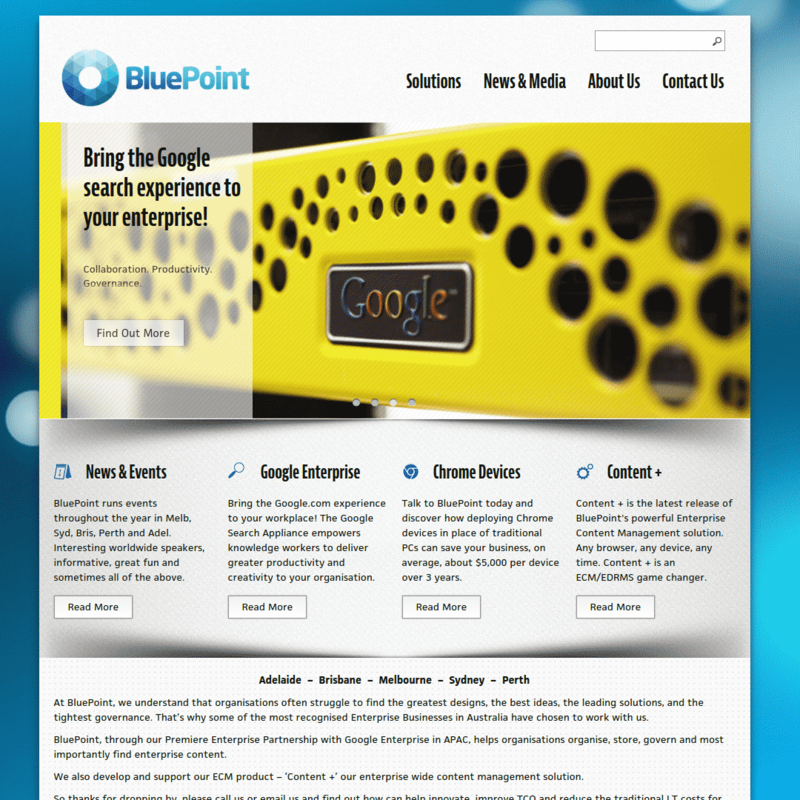 BluePoint is a Google Enterprise Partner that have built solutions using Google search appliance across Australia. They wanted a brand-new website showcasing their case studies and stories, as their previous website was not able to do this. The BluePoint website is another project that I have built using WordPress as the base, and using a custom theme, added with customisation on top of it to allow for different post types as well as custom password-protected content. The decision to use WordPress was due to several reasons, one of them being that the client wanted to be able to have a user-management system so that each and every one of their employees may post on their behalf on the website. Earlier this year, BluePoint decided that they would want to move their hosting services to another hosting provider. I provided them with suggestions for the WordPress hosting provider, as well as responsible for managing the entire migration process. BluePoint website was completed at the end of June 2013.